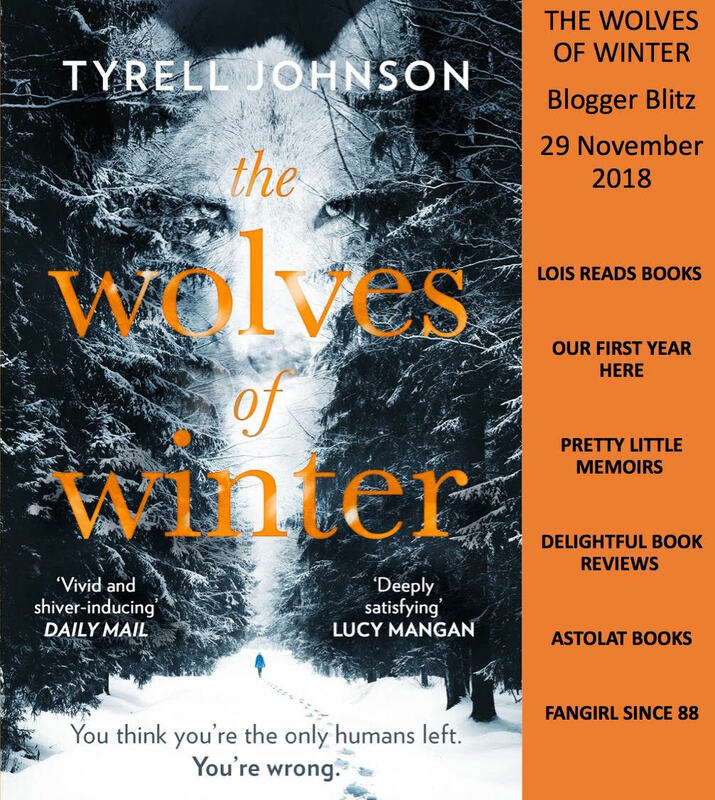 I was really keen on looking for something that would kick-start a little bit of "Winter" feels on my blog, and when The Wolves of Winter came into my life with thanks to Nina (PR extraordinaire) I was over the moon! It's totally up my street for genre types and with that gritty kind of dystopian edge, I just knew I had to read it. In the world that The Wolves of Winter takes place in, it's truly and utterly grim. The old world has died, bringing a savage and unnerving spin on a dystopian landscape. The old world was destroyed by "the flu" and the war of disease, bringing civilization to a standstill of localized panic and shadow existence. Lynn is worried that her family, the McBrides, could possibly be the last ones left on Earth. They're alone in the whited-out wilderness in Yukon, surviving, not truly living. But then Jax arrives. He's injected into their small community, a fugitive with secrets close to his chest. He knows things that Lynn finds buried into the past and their future civilization as they know it, like how there is still humankind out there controlling the world with a sly hand, supposed to be saving the people from extinction. The organisation was supposed to save them all, but still, they're trapped. Fighting every day through more discoveries, like wolves, hunting or becoming the hunted by dying in the coldest way. This story just entirely blew me away with a bitter frost that swept me into a whirlwind gripping novel about identity, a strong female lead and a dystopian land so uniquely built that it never failed to surprise me with the turns it took. Tyrell has written something so brilliantly gritty-meets-gleaming, alike The Hunger Games type of feels, but if it were a frozen tundra. 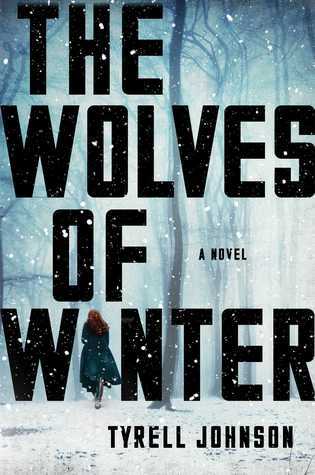 Overall, I loved The Wolves of Winter. Although sometimes I got lost in the history and trying to remember the vast detail of the world, it was still one of the most incredible dystopia's I've read in such a long time. It's almost made me want to dive into more (if it were a series) and get stuck into loving another dystopian series like Divergent and CO. It swept me away, and I just *know* so many people are going to devour this book like me. 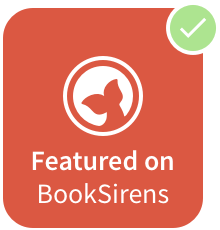 Amazing four star read! 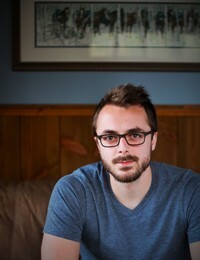 My name is Tyrell Johnson and I am a writer and editor. I received my MFA in Creative Writing from the University of California Riverside where I studied fiction and poetry. I'm passionate about the outdoors and can often be found on the mountain with my Siberian Husky, or on my mother-in-law's ranch feeding her horses and a donkey named Jim. Originally from Bellingham Washington, I now live in Kelowna, BC, with my family. The Wolves of Winter is my debut novel. Before writing my novel, The Wolves of Winter, I remember going to the dog park to walk my dog with my then-3-year-old daughter, Finnley. The park is a nice open area: there’s a big field for the dogs to run and a path that takes you down a small embankment right beside the lake. We had just gone down the hill, my dog, a Siberian husky, was splashing in the freezing fall waters when I looked up at the clear sky. It was late morning, but above us was the moon, full as ever. She lifted her blonde little head, smiled wide, and immediately started running away from the path, into the bushes. “Come on, Dad!” she yelled. Little girls need to know that they can do anything. From an early age, there’s a belief that the world is a large, magnificent thing full of wonder and possibility. As we get older, real life, responsibility, and societal pressures tend to shrink the world into orderly tasks. We lose that sense of immeasurable opportunity. In our history, this is especially true for young women, who’ve had to learn very quickly that their place was either in the kitchen or at the receptionist’s desk, working for men, who, by some God-given right, were smarter and more powerful than them. Obviously, this is both untrue and a horrible mistake. Thankfully, much of the world has realized that. In the developing world, we’ve seen the stats proving that when women are educated, whole families, whole communities thrive. In essence, when women succeed, everyone succeeds! Therefore, more little girls need to find themselves in the books they’re reading. They need to see heroines doing heroic deeds and know that the whole wide world is open to them. While it’s crucial for girls to see heroines taking charge in fiction, it’s vital for boys as well. Boys should grow up viewing women as just as heroic, just as capable as themselves. From an early age, we need to put men and women on an even playing field so that neither learn to think they’re better than the other. Basically, it comes down to this: if we’re going to change the way women are viewed and respected in our culture, we need to change the way our young boys view our young girls. While we’ve made large strides in the past years, our world is still largely run by men—in business and politics—and women are often still praised for their beauty rather than their capability. But with the world taking notice of the power of women, now, more than ever, we need to create more heroines in our fiction in order to foster our girls’ imaginations and show them that anything is possible. There’s never been a better time than now! In the end, it was for these reasons that I wrote my own female protagonist in my novel, The Wolves of Winter. I wanted my son to grow up seeing men and women on an even playing field. I wanted my daughter to have more women to root for in fiction. I wanted her to find herself in a book and know that she is strong, powerful, and can do absolutely anything—even fly to the moon. Have you read The Wolves of Winter? Are you into Winter-scape reads?